Seasons greetings from an undisclosed location. I don’t want to say any specifics at where I interviewed, but it was cold, far away and yet still within the United States. Well, that being said, I just had my first interview for DPT (Doctorate of Physical Therapy) School. Of course, I was both nervous and excited. But, in the end I’m glad it’s finally over – I don’t have to stress about it anymore. My thoughts coming into an interview for the first time were thoughts of an interrogation. Questions like “why did you take this class?” or “why weren’t your grades on par for this class like the others?” I just listened in on types of questions that other candidates that I was waiting with were talking about. I was nervous! 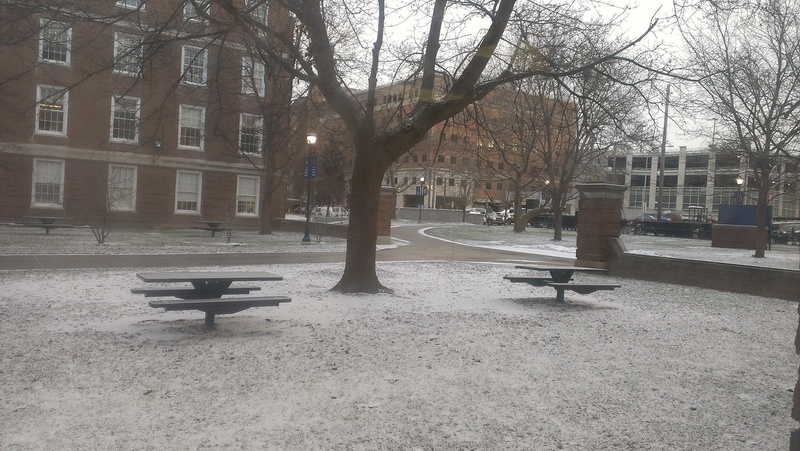 I arrived on campus at 730 AM expecting for an interview shortly after. Unfortunately I arrived for a 130 PM and another 230 PM interview with a faculty member and a current student respectively. I know, way too early but that’s the way life is. I did find ways to pass off time by adventuring through the school’s library. I was impressed on the layout and content. Even more so on the scholarly work for sports medicine, of which I’m deeply interested about. After moseying around the library, I was toured the campus by three lovely students in their first year – I had to say, I had my doubts thinking about seeing myself going to this school, but it’s been leaving more and more positive impressions. Game on! I was greeted by one of the faculty who is also a practicing PT. She and I bounced back and forth some great comprehensive questions and answers which hopefully gave her a good impression of me as a candidate and hopefully a future PT student and future PT! I can say the same way about the way that the interview with the current student went as well. Afterwards, I had that feeling I did well enough to pass the interview part of the admissions process. The questions and interview itself wasn’t as bad as I initially thought it would have been, but only because I was prepared; not seconds and days beforehand, but by my experience in which I could use to help answer questions. Now what exactly do I mean by that? I can probably say for that most part that most interviewers will more than likely ask non-prototypical interview questions. By this, I mean things like “draw from your experiences from so-and-so time”, “what can you have done better in that situation” or “what are you currently doing now?”, just to name a few things that I remembered from mine. I guess what I am trying to get at are some things to think about for your future interview or help prepare way in advance. This can be said about anyone thinking about graduate school. However, the interviewer may have a tendency of asking you about particular events or experiences in your activities. These are great stories and answers to get the ball rolling in the interview and show how interested you are in participating in those activities. I know from my interview experience, that my student assistant position in the athletic training room, volunteer coaching for American Legion baseball and my CSCS certification/training did, I think, set me apart from other candidates and made the interview interesting for the interviewer. A great way I kept track of my experiences from my internships, volunteer work and shadowing was to keep a notebook. 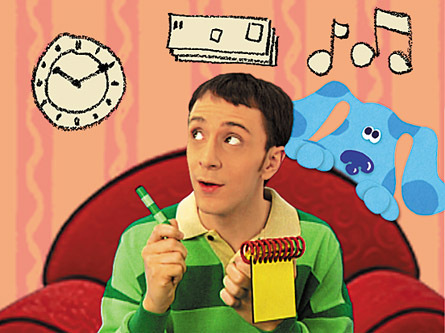 I wouldn’t recommend a cheap, flimsy notepad like Steve is holding if you’re planning to extensively use it. What I personally use and highly recommend are those Moleskine notebooks you can find here. Sure, they may be a little pricey, but they’re well built and just plain look cool (Indiana Jones had one). I used them to write notes on what I saw so I can remember them for future use – much better than writing on your hand and forgetting later on. Be calm, cool and collected. The interviewer more than likely does not want textbook answers. They want to see you, the candidate and what you can offer the program. Remember, they are also investing time and money into you. Don’t be afraid to tell the interviewer you’re not sure because I don’t have enough experience or for other valid reasons. In my opinion, this shows the interviewer you know your limitations. And this question or and variation of it might pop up in your interview: What’s your weakness? Everyone has one, we are human after all. Try and think up of something – this is harder than it looks. Well, those are my thoughts on how my first DPT interview went. I’ll hear from them on any decisions in 2-3 weeks. Hopefully I provided some tips on helping you with your interview when it comes. Any comments, thoughts, questions or concerns are greatly appreciated in the comments below as long as they’re constructive. Thanks for reading!